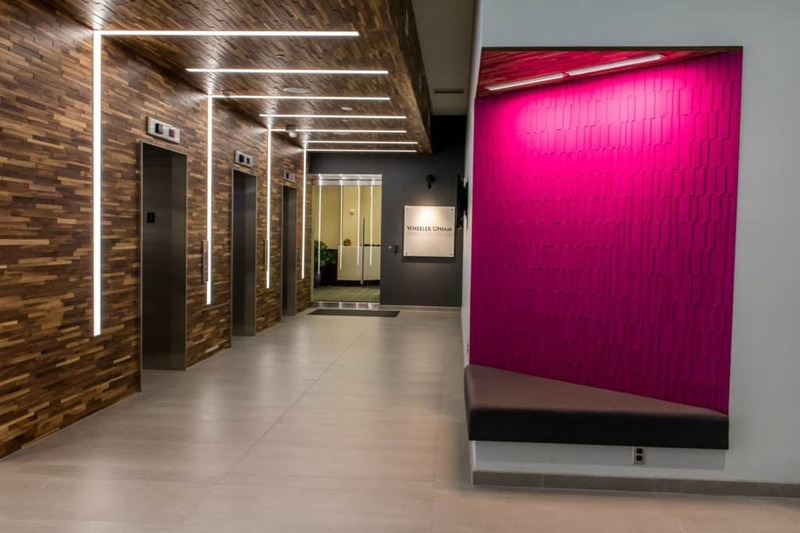 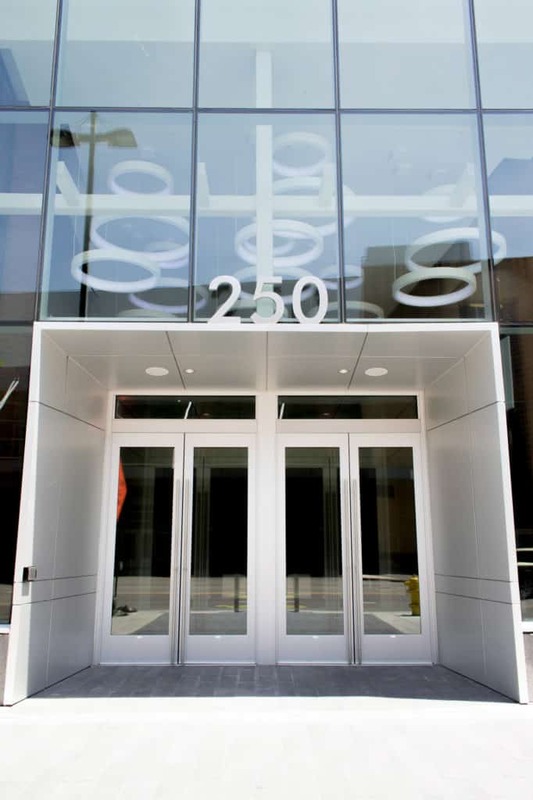 This was a remodel of the 250 Monroe building lobbies on multiple floors. 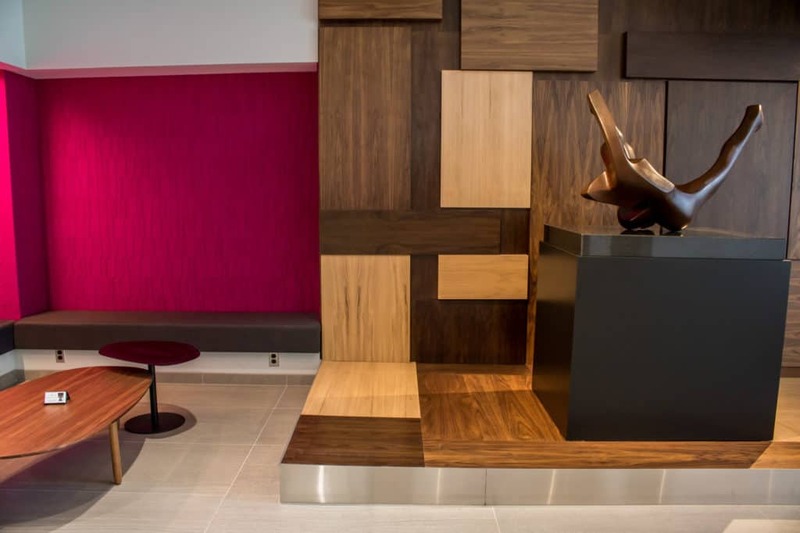 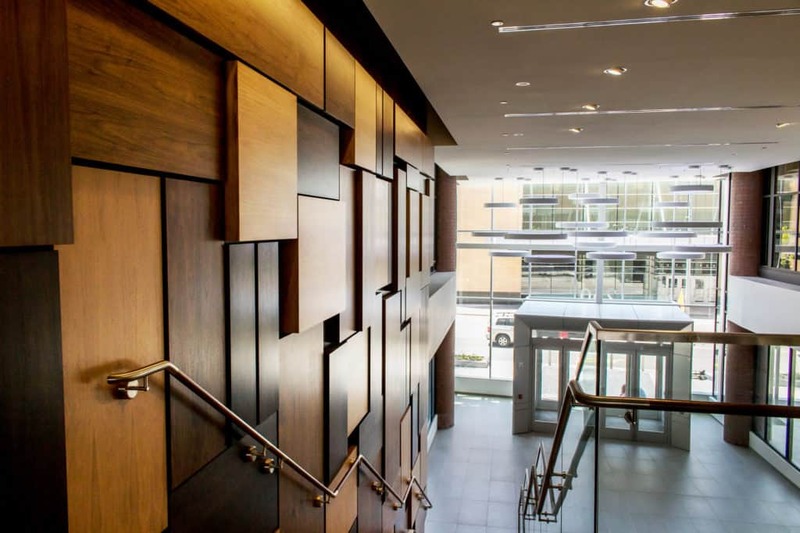 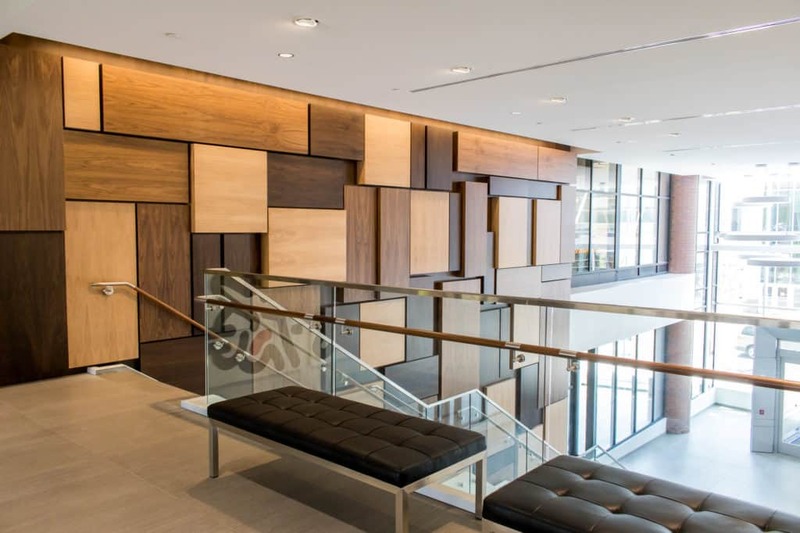 D&D had the general trades package which included doors & frames, bath accessories, toilet partitions, multiple areas of blocking, install of FilzFelt material on lobby seating areas, and areas of intricate woodwork. 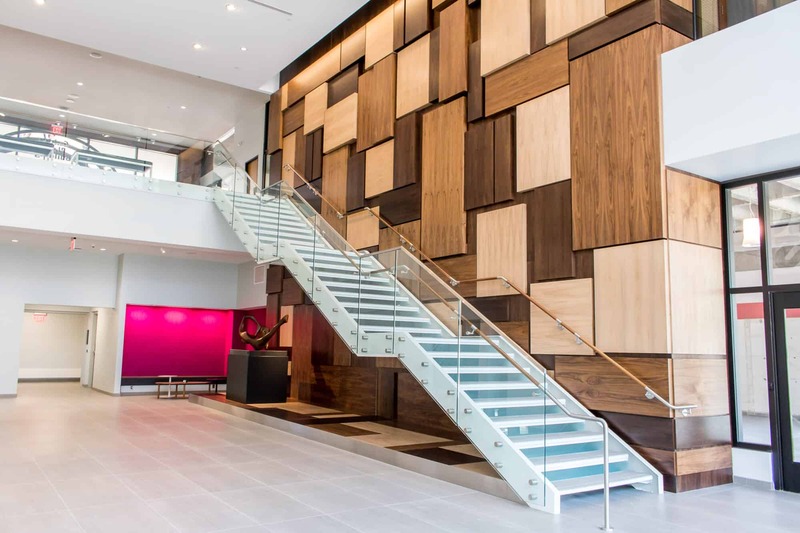 The woodwork included a large fashion wall in the stairwell, and ceiling and wall work in the elevator lobbies.